This very underrated gem was for a very long time under the radar, but with its release on the DVD/Blu-Ray people are starting to come around. Same thing happened with the initial release. 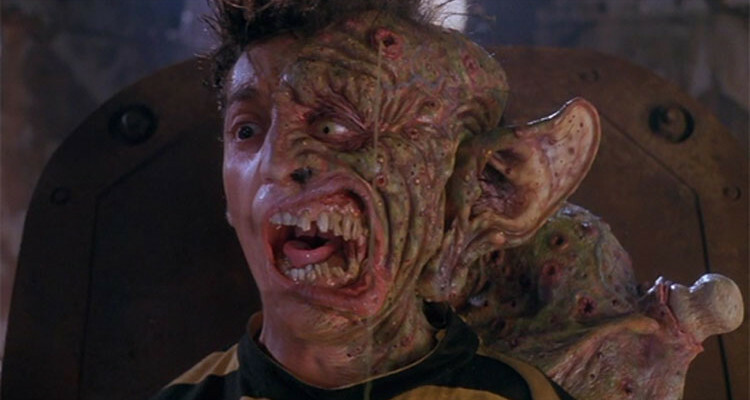 After poor test screenings, Freaked (previous title was Hideous Mutant Freekz) made its way to only two theaters in USA. Advertising budget was eliminated and movie was considered a huge box office bomb. All this started much earlier, with Rupert Murdoch afraid that the movie is two weird, firing Joe Roth and replacing him with Peter Chernin whose only mission was to wrap things up with lowest possible cost. After all this, Freaked was released on VHS in 1994 and soon gained cult status. Packed with non-stop humor, gags and great make up effects, this movie managed to be funny on many levels. Jokes are smart and yet they can still be regarded as toilet humor, and that is a part of their charm. 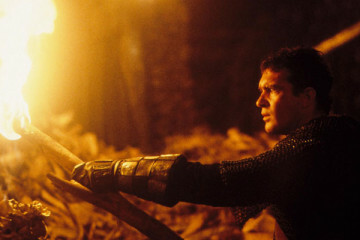 Fun Facts: The film’s budget was 12 million dollars, most of which went towards the film’s special effects.